Westchester County in New York’s lower Hudson Valley is America’s, (and perhaps the world’s) premier suburb. 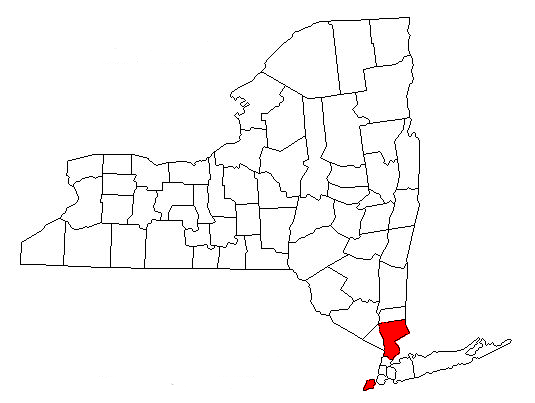 Westchester was the first American county to develop as a suburban community in the late 19th century. It grew rapidly with the influx of upper middle class residents from New York City. Westchester is blessed with a great location for either outbound or inbound commuters. It has New York City and Long Island to it south, Putnam County to its north, Fairfield County and Connecticut to the east and Rockland County and New Jersey just across the Hudson River. It is a thriving, robust collection of communities, with first class retail, cultural and lifestyle amenities, in six cities, nineteen towns and 23 villages. But Westchester isn’t just a bedroom community. It has a commercial life of its own, as home for Fortune 500 companies like Pepsico, IBM, MasterCard, Reader’s Digest and many other prominent businesses which headquarter in the county. 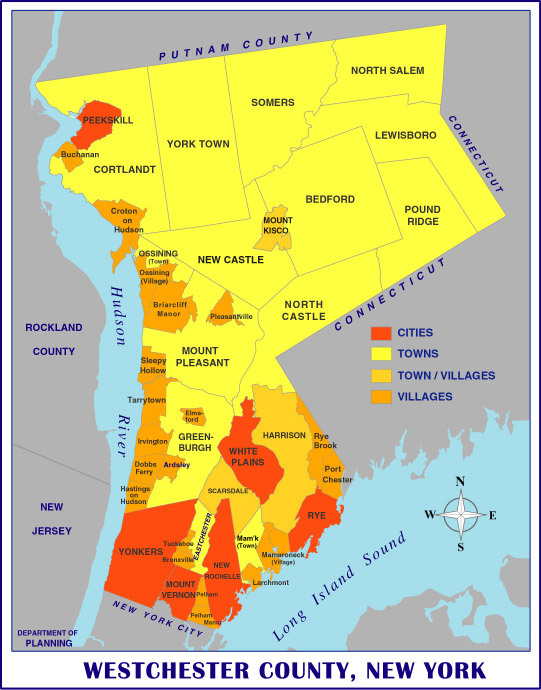 Westchester has six major cities in its 500 square miles of land and water. 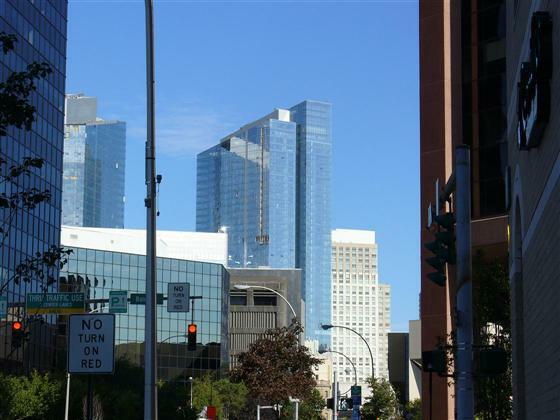 White Plains, the county seat, has a recently redeveloped downtown featuring a stunning array of upscale retail and housing. Yonkers is also undergoing major development on the Hudson River and is the fourth largest city in New York state. Peekskill is the northernmost city in Westchester, and offers spectacular views of the Hudson highlands. On the Long Island Sound side is New Rochelle, home of Iona College and the College of New Rochelle. Also on the Long Island Sound is Rye, a smart, chic, upscale city with a small town feel. Mount Vernon is the eighth largest city in New York state and shares a border with the Bronx. Development is happening all over Westchester County, and nowhere more significantly than along the Hudson River waterfront. This primarily industrial area has undergone significant conversion to mixed residential, commercial, recreational and retail uses since 2004. Yonkers, Peekskill, Croton on Hudson, Tarrytown, Irvington, Sleepy Hollow, Ossining and Dobbs Ferry all have seen re-development along their river banks. Westchester is building a 50 mile long river walk joining communities all along the Hudson River which can be used by pedestrians and cyclists to enjoy the river views from New York City to Putnam County. On the planning table is a replacement for the Tappan Zee Bridge, the 3-mile long span connecting Westchester County to Rockland County to the west. Expected to be a five year project, the plan has been budgeted to cost $4 billion dollars. 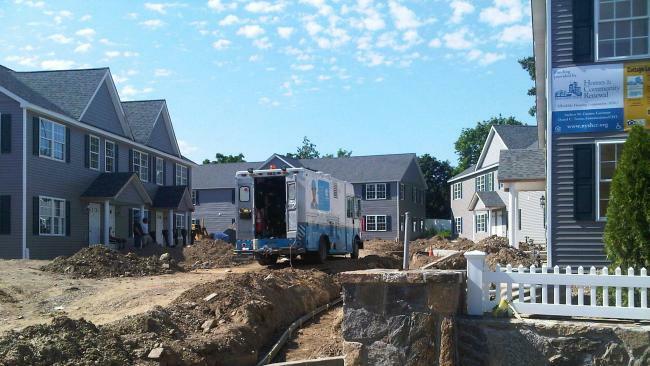 Westchester has a storied history dating back to the 17th century when Dutch and later, English settlers started carving farms out of its hilly, rocky countryside. It suffered much destruction during the Revolutionary War, but some buildings still stand, and Revolutionary War battle sites and historic places abound. 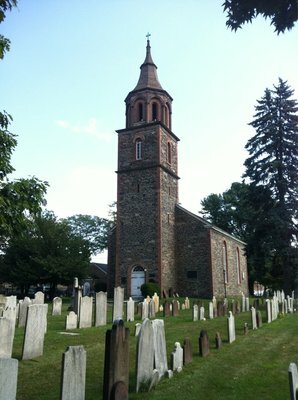 The historic St. Paul’s Church is a National Historic Site in Mount Vernon. This 18th century structure has a graveyard with burial plots dating back to 1704. Westchester is also full of historic and famous mansions, including rail baron Jay Gould’s Lyndhurst and Washington Irving’s Sunnyside in Tarrytown, the Phillipsburg Manor Upper Mills in Sleepy Hollow, and the Rockefeller Estate in Pocantico Hills, to name a few. Many of the mansions like the Kykuit estate offer tours of their buildings and grounds. Museum goers can visit the Hudson River museum in Yonkers, which features regional historical displays, art from the Hudson Valley school and a planetarium. The Neuburger Museum of Art in Purchase offers shows of modern, contemporary and African art. The Donald M. Kendal Sculpture Gardens in Purchase represent the corporate collection of PepsiCo’s outdoor sculptures. In it are over 40 major sculptures set in twelve gardens. Also on the art display must see list is the Union Church of the Pocantico Hills. It houses the only complete set of stained glass windows by Henri Matisse and Marc Chagall, commissioned by the Rockefellers. Westchester is full of fun, entertaining and educational things to do all year around. For hiking and biking, no place is better than on the Old Croton Aqueduct. The trail is atop the defunct aqueduct which at one time provided water to New York City, and passes through Yonkers, Hastings on Hudson, Dobbs Ferry, Irvington, Tarrytown, Sleepy Hollow, Briarcliff Manor, Ossining and Croton on Hudson. Three county parks also provide trails for mountain biking. Blue Mountain Reservation in Peekskill has seven miles of trails in its 1,600 acre county park, with trails marked for degree of difficulty. The 430 acre Graham Hills Park in Pleasantville has five miles of trails, located in the middle of the county at the junction of the Saw Mill River, Taconic and Sprain Brook Parkways. Sprain Ridge Park in Yonkers is smaller than the other two at 278 acres but offers trails for mountain bikers from beginner to advanced. Hybrid or road biking is extremely popular, and the spandex crowd are out in droves most sunny days. Off-street cycling is available at two venues. The North County Trailway, a paved multi-use trail runs for 22 miles from Eastview in Greenburgh to Somers. On it, a former railroad bridge passes over the scenic New Croton Reservoir. The South Country Trailway also starts in Eastview and runs to just over the Yonkers border, around scenic Woodland Lake. Another great summer activity is taking in a local farmers’ market or farm stand. 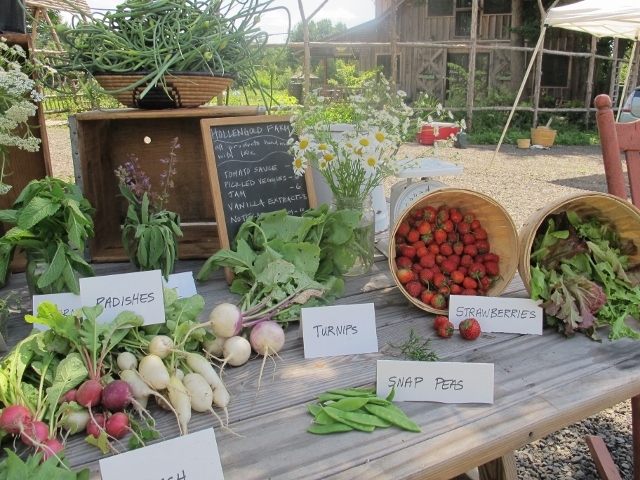 Westchester has seen a loss of much of its farmland to suburban development, but there are still some farms around the county offering fresh, pick-your-own fruits and vegetables. Pleasantville, Larchmont, Tarrytown, Lewisboro and Ossining have weekly markets. In the northern part of the county, farms offer visitors fresh, seasonal produce, as well as home made baked goods, jams, fudge and craft items. Wilkens Farm, 1335 White Hill Rd, Yorktown Heights, features pick your own apples, pumpkins, and Christmas trees; Outhouse Orchards, on Hardscrabble Rd, in Croton Falls, is a year-around farm stand where you can pick your own apples in season; Also offering fresh produce are Salinger’s Orchards, Guinea Rd, Croton Falls, and Stuart’s Farm, 62 Granite Spring Rd, Granite Springs, with nearly 200 acres of fruits and vegetables. Up for some live entertainment? The Paramount Center for the Arts in Peekskill features theatre, live music, dance, and classic and current films. The Caramoor Center for Music and Arts in Katonah has evening concerts, featuring a broad spectrum of music, from opera to popular to show tunes. This Mediterranean villa on an 80 acre estate also offers afternoon teas, and has beautiful gardens and an art museum. Another theatre featuring live performances is the historic Tarrytown Music Hall. This vintage theatre offers classic films, live music, comedy and some surprisingly big name entertainment in its snug venue on Main Street. For a taste of the towns, visitors can travel to next door Sleepy Hollow, the town in Washington Irving’s classic Legend of Sleepy Hollow. Fans of the book can follow Ichabod Crane’s route from the center of Tarrytown to Sleepy Hollow, the route he took in flight from the headless horseman. Or for a less harrowing trip, take the Tuckahoe trolley, which picks up and drops off at various locations around the town. There is no end to the choices for dining in Westchester County. It would be impossible to include all the possibilities here (great new venues pop up weekly.) But here is a taste of some of the more notable establishments we’ve found. 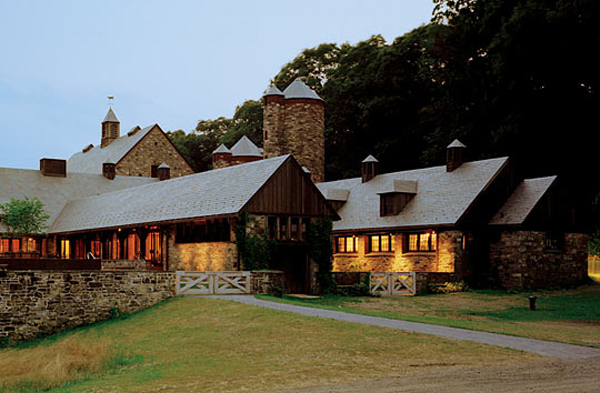 Blue Hill at Stone Barns is one of Westchester’s most notable eateries. Located on the Rochester estate in Pocantico Hills, the restaurant uses all local produce and meats, raised on site and served as seasons dictate the menu. The farm provides an educational program, and studies local farming practices and cultures rare strains of heritage fruits and vegetables. Also of note is X2O, Xaviars on the Hudson. Chef Peter Kelly created this spectacular venue on the Hudson, serving an elegant variety of gourmet selections. A favorite is the $38 Sunday brunch, which starts with muffins, breads, moves on to hearty passed dishes like baby lamb chops and wild mushroom ravioli, two savory courses like shellfish chowder, followed by poached eggs with creamed spinach, or whole roasted New York sirloin with coconut shrimp. Desserts are equally spectacular, like chocolate callebaut cake, strawberry parfait, and warm bananas Foster. The whole thing is lubricated by unlimited champagne. Enjoy the same brunch Tuesdays through Fridays but without the Champagne and passed dishes, for $25..
Other notables include Restaurant 42, with its panoramic view from the top of the Ritz-Carlton towers in White Plains, and the Bedford Post Inn. entrée such as the prosciutto-wrapped breast of organic chicken or the Georges Bank cod, plus dessert and coffee for $38. For $49, seared day-boat scallops and timbale of toe crab are added to the first-course selections; main courses include Za’atar-dusted swordfish and thyme-rubbed rack of lamb; desserts include chocolate marquis and passionfruit-blackberry tart. A five-course chef’s tasting menu is available for $69. Equus at Castle on the Hudson in Tarrytown has, for just $38, such delectable offerings as maple-cured wild salmon, rainbow trout, or Berkshire pork loin, and desserts such as almond-crusted blood-orange mousse, flourless chocolate torte, and apple spice cake. Rye’s La Panetière offers a lavish $25 three-course prix-fixe lunch with entrées like beef bordelaise and cannelloni of duck confit. Dessert choices include warm chocolate fondant with raspberry ice cream or chilled lemon parfait with fresh pineapple. Bartaco in Portchester has an interesting offering for groups. Three or four people can order a large tray of of tacos, guacamole, tamales, and sides like grilled corn, chipotle slaw, and crispy cucumber salad. It includes a pitcher of margaritas all for$48. The place is chic, hip, and reasonably priced—even if you want to go à la carte. 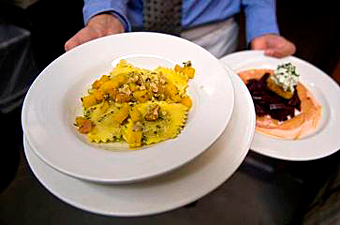 At Crabtree’s Kittle House in Chappaqua, the $24 three-course lunch starts with savories like butternut squash soup, Caesar salad, or crab cake, and is followed by John Boy Farm’s chicken breast or pan-seared Norwegian salmon. For dessert, choose three-chocolate terrine with dried cherry sauce or vanilla crème brûlée. Yonkers has restaurants as diverse as its population, and offers a wide variety of authentic ethnic foods: We suggest the cerviche at Chim Pum Calloa, Patacon misto at Stefy’s Restaurant, goat tacos at La Fonda Poblano el Mexicano, even fertilized Filipino eggs at Cartimar Filipino Market. Port Chester is also home to a broad range of Latin American restaurants. Salvadoran pupusa at Rinconcito Migueleño, Peruvian grilled chicken at Misti Pollo al la Brasa. Rich, meaty Mexican carnitas at Los Gemelos Restaurant & Tortilleria. The restaurants also manufactures fresh tortillas for retail customers and as wholesale supply for other restaurants. Westchester’s restaurants, gardens and shops also offer a different kind of activity: celebrity sightings. Andrew Cuomo frequents the Mount Kisco Diner in Mount Kisko. And why not? His girlfriend lives on the Mount Kisco/North Castle border. David Rockefeller dines at his Blue Hill at Stone Barns. New York Times Puzzle Editor Will Shortz can often be found playing ping pong at the Burke Table Tennis Club in Tarrytown. Designer Joseph Abboud offices across from the Meeting House in Bedford Village. The Meeting House is also just down the road from Martha Stewart’s immaculate estate. Richard Gere frequents the Bedford Post Restaurant in Bedford, as he is co-owner of the place. Watch out for David Letterman jogging along the roads of North Salem. 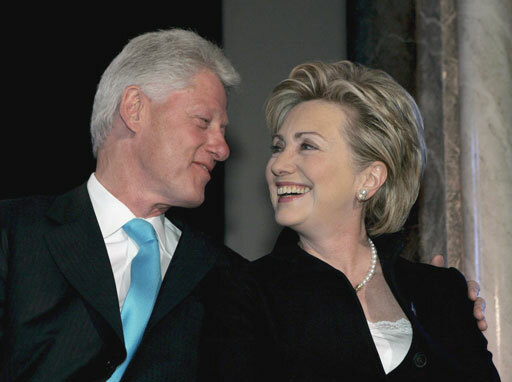 And of course, there’s Chappaqua, home of former President Bill Clinton, and his wife, former state department head Hillary. area offers a wide variety of dining options, including P.F. Chang’s China Bistro or restaurants in Neiman Marcus or Nordstrom. The ambiance is lush – a bright, open space with sky lighting above its marble and carpeted floors and it is decorated with commissioned sculptures. The Westchester Mall’s sister site is the Galleria Mall at White Plains. The Galleria is an indoor shopping mall and main shopping destination that serves Westchester County and the Bronx. It has 130 retailers a band is anchored by Macy’s and Sear’s, and includes prime retailers like H&M, Forever 21, Aldo, American Eagle and Victoria’s Secret. 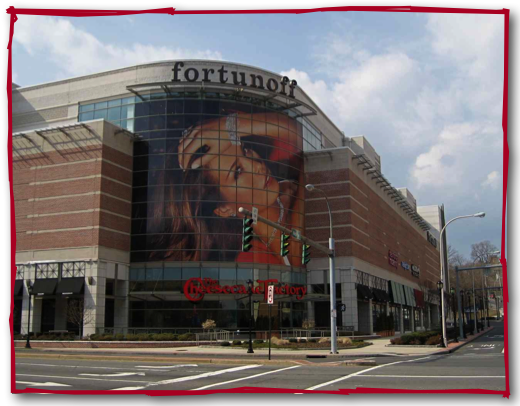 The Galleria is located at the intersection of Main Street and Dr. Martin Luther King Boulevard in White Plains. The Cross County Shopping Center in Yonkers has recently been remodeled, and is the largest outdoor shopping center in Westchester. Its 80-some stores and restaurants include A/X Armani Exchange, Forever 21, H&M, Victoria’s Secret, plus Macy’s, Sear’s, and Old Navy. The Cross County also houses a Stop & Shop supermarket and a multiplex cinema. Westchester’s northernmost shopping mall is the Jefferson Valley mall, located in Yorktown Heights. It features over 90 specialty shops ranging from jewelry to women’s apparel to athletic apparel including Macy’s, Sears, H&M, Express/Express Men, Gap/Gap Kids, Forever 21 and boasts an over 400 seat food court featuring, Sbarro, Subway, Asian Chao & more. The mall is conveniently located 1/4 mile east of the Taconic State Parkway off Rt. 6 on Lee Blvd. For shopping of a slightly different style, Westchester hosts the country’s biggest crafts show twice a year at Lyndhurst Castle (35 S Broadway, Tarrytown. But this is no nick-nacks and baubles kind of show. It’s billed as a premier showcase of contemporary craft in America, nationally recognized for presenting masterful work, designed and made in artists’ studios across America. The weekend-long event also includes special exhibitions, artist’s talks and fashion shows. A non-profit organization providing medical services to uninsured, Medicare, or Medicaid patients. Provides primary and specialty medical care for adults, adolescents, and children. A community hospital serving Westchester, Putnam, and Dutchess counties, with satellite offices throughout the region. Not-for-profit organization providing medical services to uninsured, Medicare, or Medicaid patients. Information on St. John’s Riverside Hospital and Yonkers General Hospital. Private, not-for-profit facility specializing in inpatient and outpatient multidisciplinary physical rehabilitation and research. Affiliate of Columbia Presbyterian Medical Center. Westchester County Airport, is the biggest airport of the lower Hudson Valley, other than the New York City/New Jersey airports. It’s the most convenient airport for many reasons – plenty of parking, short wait times and no crowds. Flying in and out of Westchester County Airport avoids all the congestion and traffic around the three major international airports. Rental cars are available. Newark Liberty International Airport, Newark, New Jersey, John F. Kennedy International Airport, and LaGuardia Airport serve the New York and Westchester area with all major international and regional carriers, with service to just about anywhere. 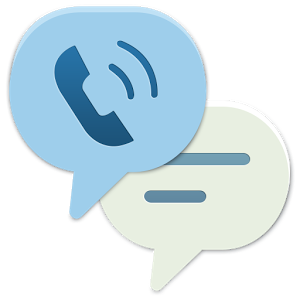 Westchester-based taxi and livery cars offer regular service to and from the three internationals from most areas of the county. Amtrak: Some trains make stops at Yonkers and Croton-on-Hudson and in New Rochelle. However, if you are coming from New York City, keep in mind that Amtrak trains from there are much more expensive than Metro-North to these stops. Metro-North Railroad: Three branches of Metro-North Commuter Railroad serve the county, all from Grand Central Terminal. The Hudson Line travels the far west flank of the county along the bank of the river (on trains departing from Grand Central Terminal in Manhattan, get a seat on the left side of the train: opposite Yonkers and Hastings-on-Hudson you will be treated to great views of the sheer cliffs of the Palisades). The Harlem line drives up the middle, and the New Haven line follows the shore of Long Island Sound. New York City Subway. From New York City you can take it to the southern edge of Westchester County and catch a bus to go further north.